Lotus | Chuan-Min Wang 王全民, D.C, L.Ac. Born in Taiwan, Dr. Chuan-Min Wang, D.C., L.Ac. received a Philosophy B.S. degree from Fu-Jen Catholic University in 1974 and an Education Master degree from National Taiwan Normal University in 1977. During his college years, Dr. Wang studied Chinese Philosophy and I-Chin from Master Hwai-Jin Nan. During 1972-1974, he learned Tung's acupuncture directly with Master Ching-Chang Tung. After his studies, Dr. Wang taught philosophy at a local college and practice acupuncture at home in Taiwan. 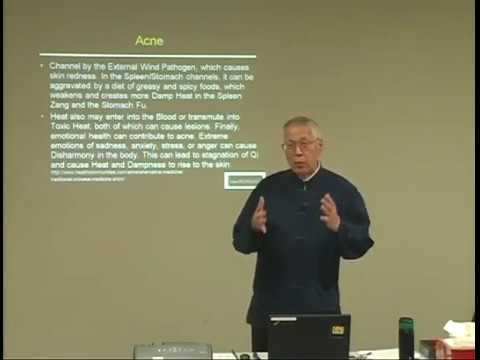 After immigrating to the US, Dr. Wang studied chiropractic techniques and received a Doctor of Chiropractic degree in 1999. Soon after, Dr. Wang received his chiropractic physician and acupuncture licenses and began a practice in Illinois. 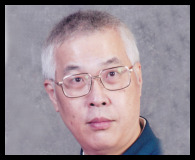 Dr. Wang has also visited Peru, El Salvador, the Dominican Republic, and Bolivia as a volunteer physician 7 times and received the Humanitarian Physician Award from the Buddhist Compassion Relief Tzu Chi Foundation Taiwan in 2004 for his volunteer works. In addition, Dr. Wang was invited to promote Tung’s Acupuncture three days in He’nan Traditional Chinese Medicine by The World Federation of Acupuncture-Moxibustion Society (WFAS). In August 2013, Dr. Wang published his book, "Introduction to Tung’s Acupuncture." This book illustrate Tung's Acupuncture is Five Zang system acupuncture. Courses by Chuan-Min Wang 王全民, D.C, L.Ac. Submitted by elotus on Tue, 02/03/2015 - 5:02pm. Thank you for sharing your knowledge. It was very thorough and detail oriented. I really enjoyed this speaker. I thought that he was thorough and had much knowledge on the subject. I thought Dr Wang was great. Great presentation on a very interesting and important topic. His depth of knowledge and skill is apparent through his discussion of the information. His explanations were clear and he made an effort to explain more difficult concepts well. Dr. Wang has great first hand experience with Master Tung and his senior fellow classmates. I found him to be an engaging speaker that held my attention the entire day. It's clear the speaker is incredibly knowledgeable and has very valuable information to offer the practitioner. Submitted by justin fontanini on Wed, 10/09/2013 - 6:43pm.